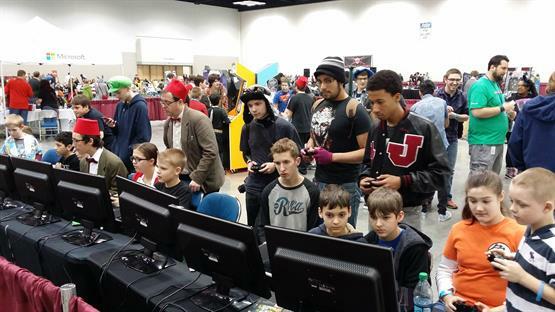 Video Game Palooza Record-Breaking Success at Indy Comic Con! WOW! and GAME ON! is all we can say after an amazing, record-breaking weekend at Indy Comic Con. 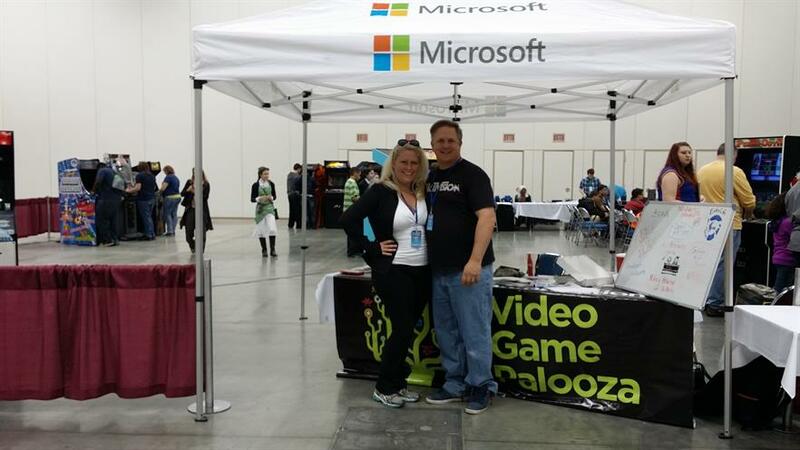 We had a fantastic partnership with Microsoft, Extra Life and Riley Children’s Hospital. We had a huge arcade (Donated by DreamAuthentics) with about 12 classic arcade games like Pac-Man, Galaga, Centipede, Killer Queen and more. People donated to our charity foundation to come in and play. 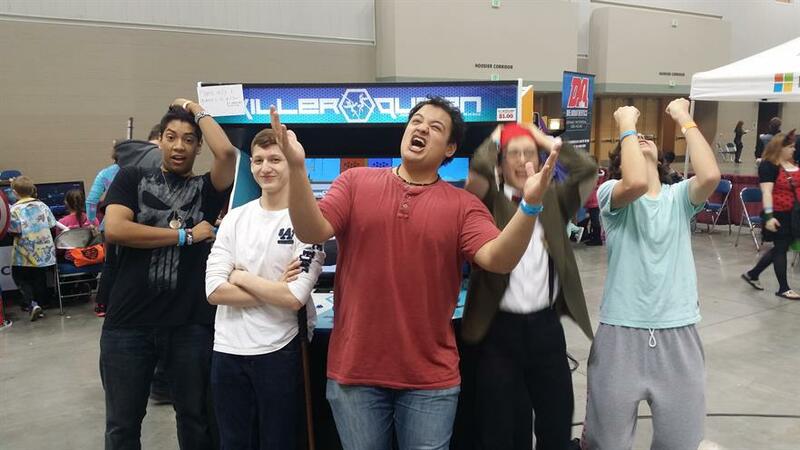 We had about 2,000 people come through our arcade over Friday, Saturday and Sunday. 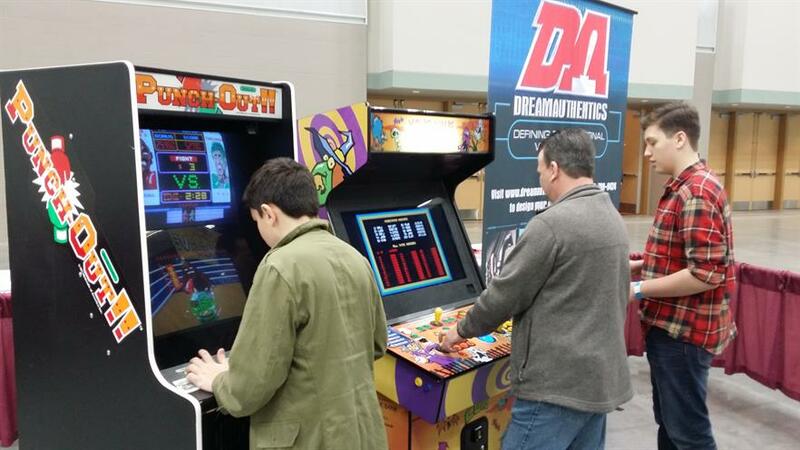 It was gratifying seeing the younger generation see arcade games and even better seeing kids INTERACTING TOGETHER with their friends (and parents) in playing games. In today’s society many kids play in isolation by themselves and only talk with people online when playing XBOX or PlayStation for example. We are proud to create CREATIVE, FUN and ENTERTAINING environments for our kids to LEARN and work as TEAMS to communicate, grow, expand all with productive fun games. We feel blessed and priviledged to have touched so many and are greatly looking forward to our next events coming up in June and October!